Leland has a diverse background in early-stage social finance and business development. Prior to joining Hartford InsurTech Hub, Leland worked as a Global Fellow on the India deal team with Patamar Capital, an impact investment venture capital fund making investments in companies that improve the livelihoods of the working poor in South and Southeast Asia. While with Patamar, Leland also focused his efforts on strategic consulting and project development with regional micro-finance organizations, SKS Microfinance and Samhita MFI. 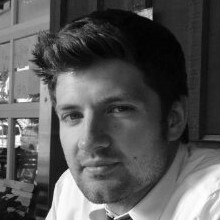 Prior to working in impact investment, Leland worked as a legal assistant in a business and bankruptcy law firm and as a project coordinator for Sonoma County’s Economic Development Board where he developed and managed programs and produced economic reports supporting local business in Sonoma County, California. Leland graduated from Kenyon College with a degree in Political Science with concentrations in Public Policy and Humane Studies. He has also earned certifications in Venture Deals and Social Enterprise.